Today, the Federal Open Market Committee voted 9-to-1 to leave the Fed Funds Rate unchanged within in its target range of 0.000-0.250 percent. In its press release, the FOMC noted that since November’s meeting, the “economic recovery is continuing”, but at a pace deemed too slow to make a material impact on unemployment rates. It also said that household spending in increasing, but remains constrained by joblessness, tight credit and lower housing wealth. In addition, the Fed used its press release to re-affirm its plan to keep the Fed Funds Rate near zero percent “for an extended period” while also opting to keep its $600 billion bond market support package in place. And lastly, of particular interest to home buyers and mortgage rate shoppers, the FOMC statement devoted an entire paragraph to the Federal Reserve’s dual mandate of keeping inflation and employment at acceptable levels. The Fed acknowledges making progress toward this goal, but calls it “disappointingly slow”. Currently, inflation is too low for what the Fed deems acceptable, and unemployment is too high. Over time, the Fed expects both measurements to improve. Mortgage market reaction to the FOMC statement has been negative thus far. Mortgage rates are unchanged post-FOMC, but appear poised to worsen. The FOMC’s next scheduled meeting is a 2-day affair, January 25-26, 2011. It’s the first scheduled meeting of 2011. The Federal Reserve released its November 2-3, 2010 meeting minutes Tuesday afternoon. Mortgage rates in Massachusetts have been on the move since. As compared to Tuesday morning, mortgage applicants are finding conforming and FHA mortgage rates to be higher by as much as 0.375 percent. In “real life” terms, assuming a 30-year term, that’s an extra $264 in annual mortgage payments per $100,000 borrowed. In its press release, the FOMC noted that, since September’s meeting, the pace of economic and job growth “continues to be slow”. Housing starts are “depressed”, income growth is “modest” and commercial real estate investment is “weak”. With respect to its prior economic stimuli, the Fed deemed the recovery “disappointingly slow”, while, at the same time, noting that growth will come. The Fed also noted that inflation is running lower that what’s optimal, hinting at the potential for deflation. Lastly, the Fed re-acknowledged its plan to hold the Fed Funds Rate near zero percent “for an extended period”, and also announced a new, $600 billion support package for the bond market. In most instances, a move like this would drive mortgage rates lower, but the Fed’s stimulus had been widely telegraphed, and $600 billion isn’t too far from the initial package estimates. Mortgage market reaction has been muted thus far. Mortgage rates are unchanged post-FOMC, but looked poised to worsen. The FOMC’s next scheduled meeting is December 14, 2010. It’s the last scheduled meeting of the year. The Fed – rates are unchanged – good or bad news? I think it’s both good and bad news. It’s good for some people, (unless you have a lot of cash in a CD) that the Fed is not increasing rates, because it influences mortgage rates, which are staying near historic lows. It’s bad if you have a lot of cash and don’t know what to do with it (if that’s the case, call me, I’ll tell you what I’m doing with cash) or if you are looking for a sign that the recession is over (again). Read on for a summary of the meeting…..
Today, in its 7th meeting of the year, the Federal Open Market Committee voted 9-to-1 to leave the Fed Funds Rate unchanged. The Fed Funds Rate remains at a historical low, within a Fed’s target range of 0.000-0.250 percent. In its press release, the FOMC said that the pace of economic recovery “has slowed” in recent months. Household spending is increasing but remains restrained by high levels of unemployment, falling home values, and restrictive credit. For the second straight month, the Federal Reserve showed less economic optimism as compared to the prior year’s worth of FOMC statements dating back to June 2009. However, the Fed still expects growth to be “modest in the near-term”. This outlook is consistent with recent research showing that the recession is over, and that growth has resumed — albeit at a slower pace than what was originally expected. There were no surprises in the Fed’s statement so, as a result, the mortgage market’s reaction to the release has been neutral. Mortgage rates in Massachusetts are thus far unchanged this afternoon. 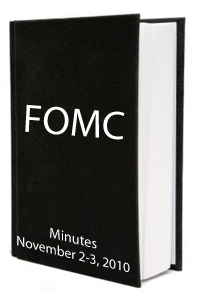 The FOMC’s next meeting is a 2-day affair scheduled for November 2-3, 2010. Well, if increasing rates spur on-the-fence buyers to go out and buy houses, then I’ll sit up and pay attention. But until that happens, this is non-news. We know the economy is worse than expected, and we know that the housing market is soft. The “Fed Minutes” is a lengthy, detailed recap of a Federal Open Market Committee meeting, not unlike the minutes published after a corporate conference, or condo association gathering. 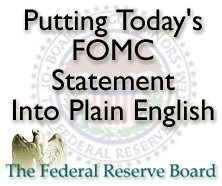 The Federal Reserve publishes its meeting minutes 3 weeks after a FOMC get-together. The minutes are lengthy, too. At 6,181 words, August’s Fed Minutes is thick with data about the economy, its current threats, and its deeper strengths. The minutes also recount the conversations that, ultimately, shape our nation’s monetary policy. It’s for this reason that mortgage rates are rising. Wall Street didn’t see much from the Fed that warranted otherwise. Now, none of this was considered “news”, per se. If anything, investors were expecting for harsher words from the Fed; a bleaker outlook for the economy. And, because they didn’t get it, monies moved to stocks and mortgage bonds lost. That caused mortgage rates to rise. The Fed meets 8 times annually. Its next meeting is scheduled for September 21, 2010. Until then, mortgage rates should remain low and home affordability should remain high. There will be ups-and-downs from day-to-day, but overall, the market is favorable.